About 18 months back, I had a computer catastrophe that resulted in the loss of my entire iTunes library, the accumulation of 3 years of ‘digital digging’. I was forced to start from scratch, something which, actually, I wasn’t too miffed about since it gave me the chance build afresh, without all those annoying badly-titled compilation albums that disperse themselves as individual tracks all over your library! I’m definitely a bit OCD when it comes to iTunes. So, it’s a year and a half later, and my digital library of music is still looking rather sparse. One of the main reasons for my not having fully rebuilt it is the abundance of excellent, free websites that offer instantly available music, none more so than my personal favourite, Mixcloud. Mixcloud, as the name would suggest, is geared more toward the DJ than the producer (see Soundcloud for that), offering free streaming of uploaded mix-sets, many of which are downloadable, too. Account holders are able to follow and be followed by other users, in much the same way as social networking sites…you know how it works. Of course, you often have to wade through a lot of stuff that may not butter your musical toast. That is, unless you know what you’re searching for. To that very end, then, every-so-often on this here blog, I’ll try and offer you some direction and suggestions that you may wish to check out; the first being DJ Rich Medina. 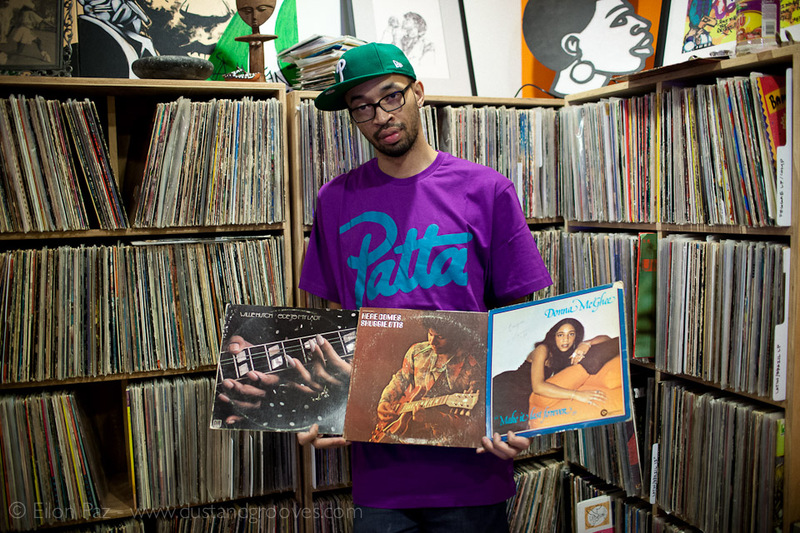 Hailing from New Jersey, DJ, producer and poet Rich Medina has been laying down sets all over the world. He is the owner of a quite frankly ridiculously vast vinyl collection, which is represented in his eclectic sets. Medina has held residencies at a number of well-attended club nights, including the successful weekly Friday night party, Open, in NYC, that he created with hip-hop legend, Q-Tip. Medina has been a great proponent of the Afrobeat genre, helping to open the eyes of a younger audience to its sound by running a monthly party, Jump n’ Funk, dedicated to the late Fela Kuti. If you’re at partial to hip-hop, funk, soul,house, latin and afro sounds, you could do a lot worse than checking out this guy…I’d particularly recommend some of the mixes recorded live at the party. This entry was posted on March 9, 2014 by theguestroom in Griffin it.